Second Class are taught by Ms. O’Reilly in Room 6. All the boys and girls in Ms. O Reilly’s class were learning lots about themselves in September and learnt all about their rights as children. 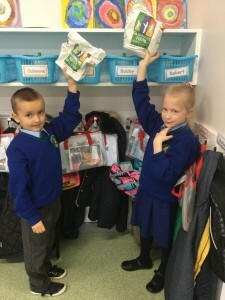 In preparation for a visit from Dr. Niall Muldoon (The Ombudsman for Children in Ireland), the children discovered that they have the rights to many things including; food, shelter, protection, clothes, health care etc. 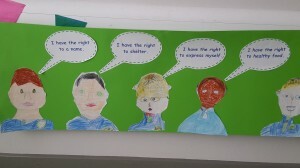 The boys and girls in Second Class drew their own Self-Portraits, with each child putting one of their rights next to it. Dr. Niall Muldoon was very impressed with their work and even invited them to his office to see where he works. During the month of October, Second Class where discussing, listening to and retelling the story of The Salmon of Knowledge. 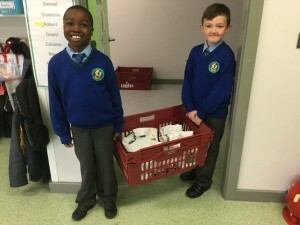 This story is very special to Scoil Aoife CNS, as our school crest is inspired by the story. While discussing how Fionn Mac Cumhaill was sent to the poet Finnegus to gain some of his wisdom, the boys and girls mentioned how they get their wisdom from school. 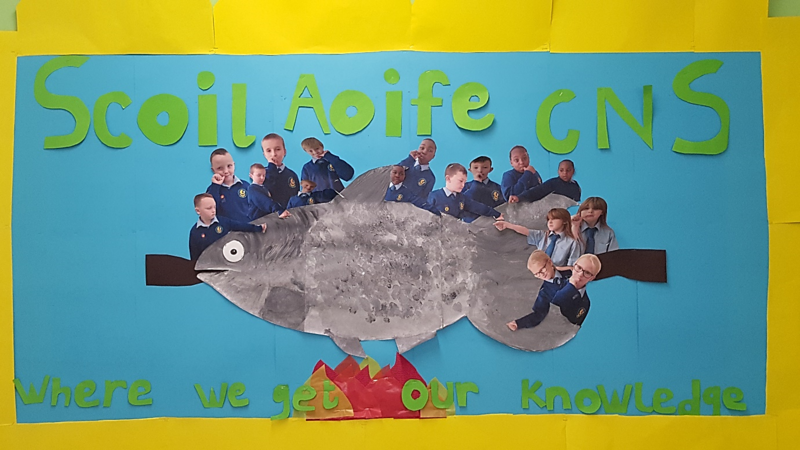 We decided to make an art display using some pictures we had taken during drama to show how we get our knowledge from Scoil Aoife CNS. 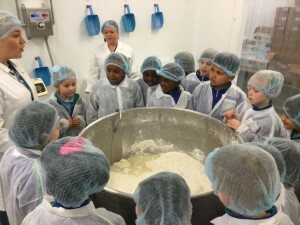 This month, all the boys and girls in Scoil Aoife CNS are learning how they all have the right to food. Every morning, Second Class deliver all the lunches to the classrooms. The children get to enjoy a variety of healthy and nutritious food every day. 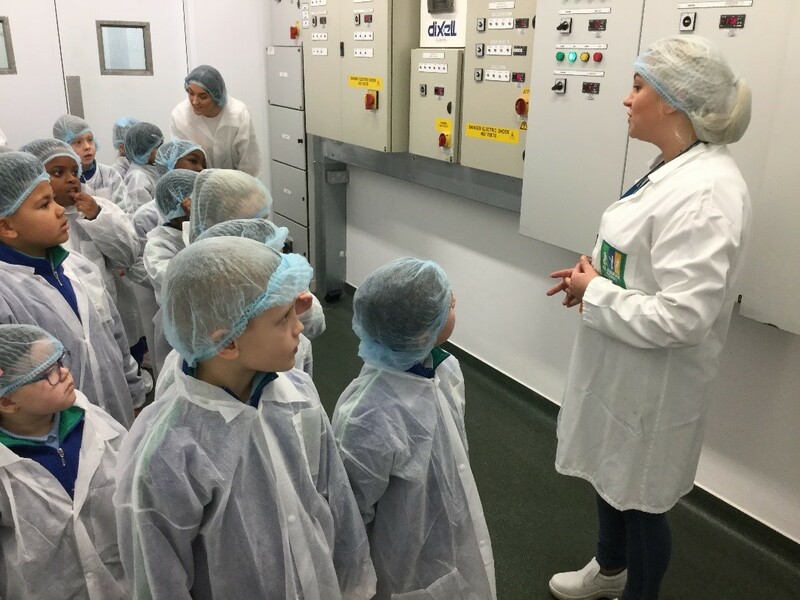 On Tuesday the 21st of November 2017, the boys and girls in First and Second Class got to go and visit Glanmore Foods in Blanchardstown. The children got to see where their lunches are made, where they come from and got to meet all the people who work there. It was a brilliant day out and made us all value our food and all the people who work hard in getting it to us.